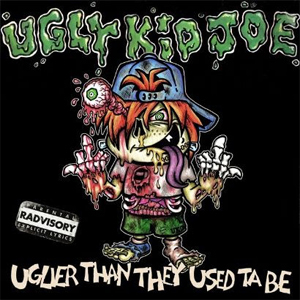 UGLY KID JOE has launched a PledgeMusic campaign for Uglier Than They Used Ta Be, their first full-length album in 19 years. You can check out the campaign right HERE. The band has unveiled the album's cover art, which was created by Daniel Mercer. UGLY KID JOE will be touring The UK in September with the amazing Richards/Crane, an acoustic project featuring UGLY KID JOE vocalist Whitfield Crane and original GODSMACK guitarist Lee Richards, as special guests.